Knole House was originally built in 1456-86 for the archbishop of Canterbury on the site of a previous house. Works to extend the building continued into the 16th century, including the main facade. 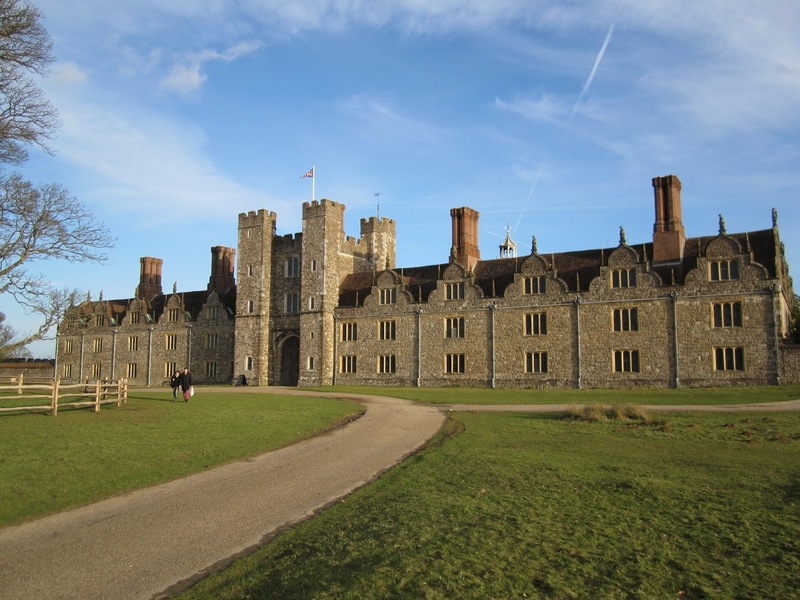 It was seized from the archbishops by Henry VIII, as was Otford Palace, and has been the seat of the earls and dukes of Dorset since 1603. 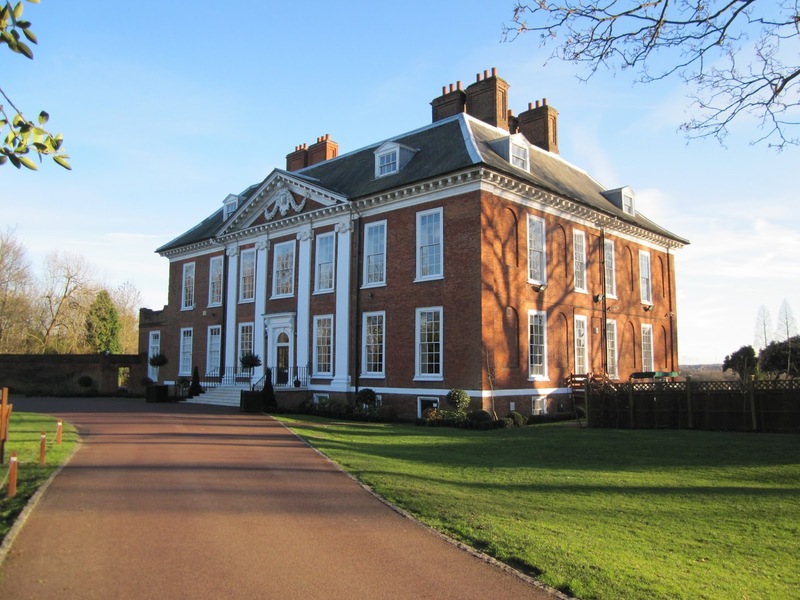 Charlton House was built in 1607-12 for Adam Newton, Dean of Durham and tutor at the royal household. The architect is assumed to have been John Thorpe. A wing was added in 1877 by Norman Shaw and the chapel wing was rebuilt in non-matching bricks after bomb damage during WWII. 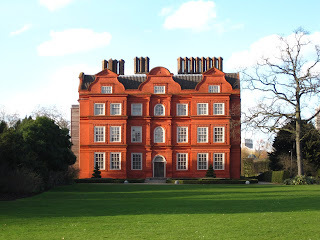 Kew Palace was originally built in 1631 as a private house for the Samuel Fortrey, but became a royal residence in 1734 though the crown only bought it in 1781, it previously being held on a lease. 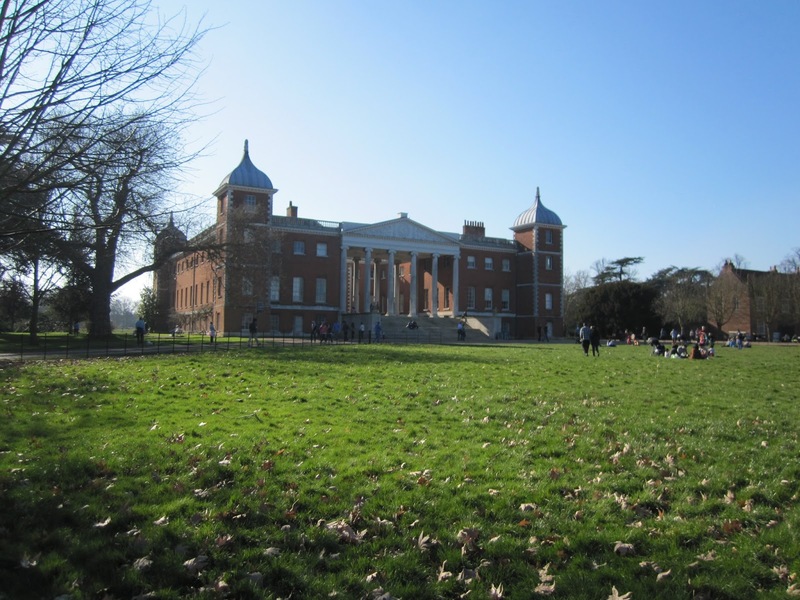 Plans for a large Palladian palace were presented in 1735 by William Kent but a new palace was only begun in 1802 to a design by James Wyatt. This was a castle-like building, which was never much liked and was demolished already in 1828. 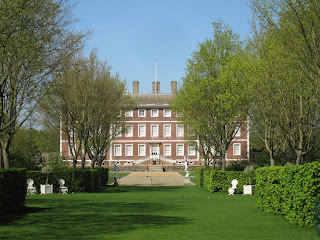 Eltham Lodge, or the royal manor of Eltham, was built in 1663-64 to a design by the architect Hugh May in the style of Dutch classicism, such as in the example of the Mauritshuis at the Hague. The same architect also designed Cornbury House in Oxfordshire, in a similar style but larger and dressed in stone, and Berkeley House in Piccadilly. The latter was destroyed in a fire as early as 1733, while May's work at Cassiobury House in Hertfordshire has also been lost. 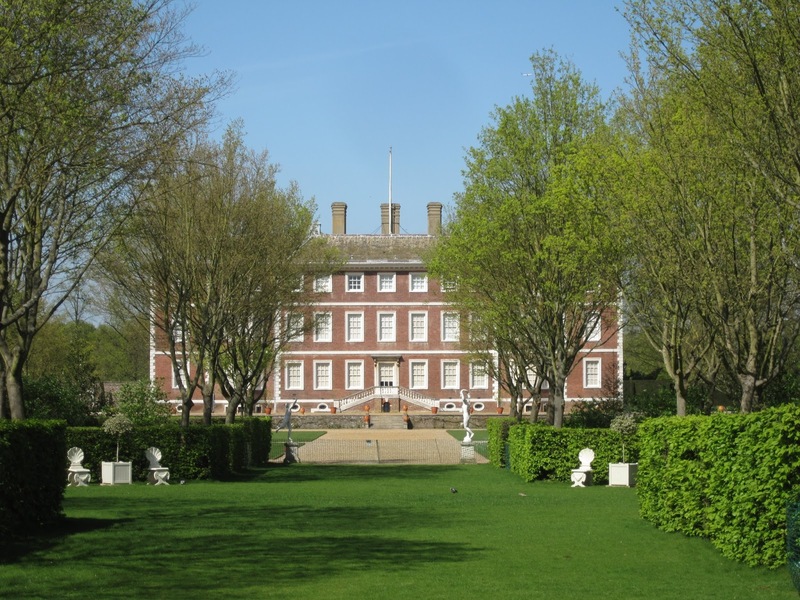 Ham House was originally built in 1610 for Thomas Vavasour, though the south front is largely the result of a rebuilding in the 1670s. The architect behind the original H-shaped plan was Robert Smythson. Appuldurcombe House was begun in 1702 by architect John James on the site of a previous Tudor house but was still unfinished when the owner Robert Worsley died in 1747. The house was further extended in 1770s but has been an empty shell since WWII, due to a mine dropped close to it in 1943. The property began as a priory in 1100. Blenheim Palace was begun in 1705 and completed around 1722 as a reward to John Churchill, the duke of Marlborough, for his efforts in the War of the Spanish Succession and more specifically the battle of Blenheim. 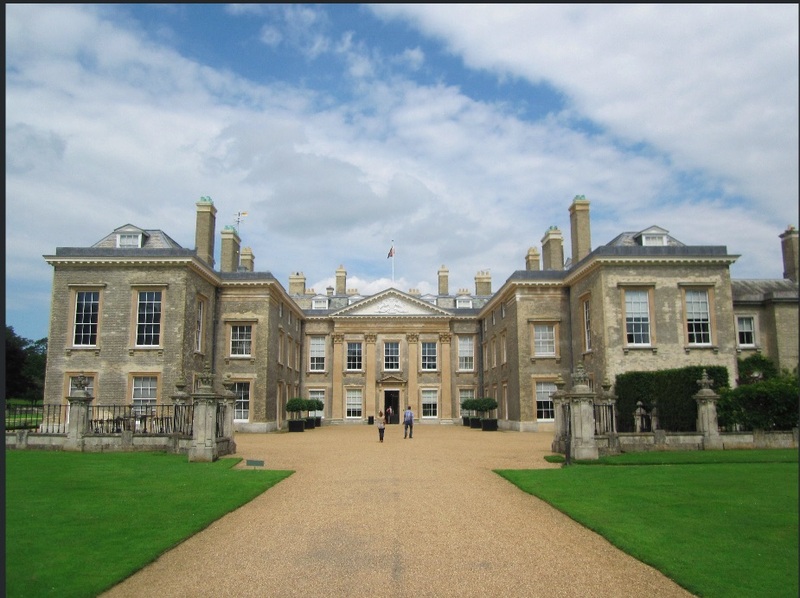 The duke choose John Vanbrugh as the architect, but Vanbrugh was latter banned from the site by Churchill's wife, who had always preferred Christopher Wren as architect and largely managed the project in her husband's stead. The work was carried on by Vanbrugh's associate Nicholas Hawksmoor but was beset by funding problems. Royal contributions had ceased in 1712, at which point the relations with the queen had deteriorated so much that the duke and duchess were forced into a two-year exile. 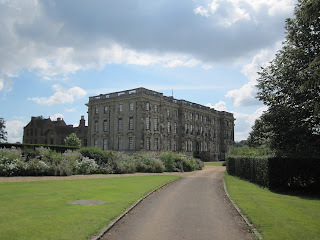 Work was resumed in 1716 but was completed at the Marlboroughs' own expense. 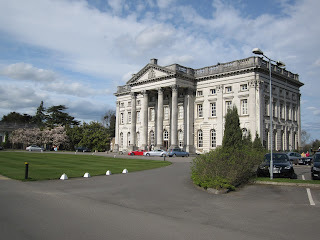 The palatial front of Stoneleigh abbey was built in 1714-26 to a design by the architect Francis Smith. The older buildings are from the second half of the 16th century, though the gatehouse is from the 14th century when the property was still an abbey. The Cistercian abbey was originally founded in 1154 but became a private estate after the dissolution of the monasteries under Henry VIII. Marble Hill House was built in 1724-29 to a design by Roger Morris and the amateur architect Henry Herbert, Earl of Pembroke. The design is supposedly based on Palladio's Villa Cornaro and also served as model for plantation houses in the American colonies. Moor Park Mansion was originally built in 1678-79, but the present facade is from 1720s by Giacomo Leoni, with assistance from the painter James Thornhill. The main body of the building was originally linked to service buildings on either side via by curved colonnades but this feature was removed in 1785. Holkham Hall was built in 1734-65 to a design by architect William Kent, working in cooperation with the aristocratic architecture enthusiasts: the earl of Burlington and Thomas Coke, who was made earl of Leicester in 1744. The land had been acquired by the Coke family bit by bit in the 17th century. Thomas Coke inherited it in 1718 but his plans to create a classical monument was delayed in the 1720s due his financial losses from the South Sea Bubble. 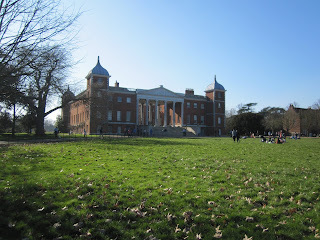 Osterley House was originally an Elizabethan mansion from the 1570s that was remodelled by the architect Robert Adam in the 1760s. Althorp House was first built in 1508 and had by 1586 been extended to its current shape. It may have been replaced with a new building in the 17th-century and is depicted in 1677 as baroque design in red brick. The current facade is from 1788 by the architect Henry Holland, who encased the building in grey tiles and added four giant pilasters to the front. 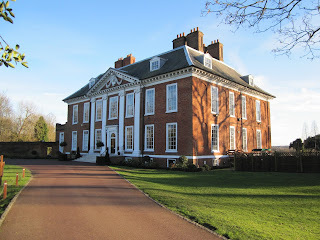 The house is famous as the childhood home of Princess Diana.